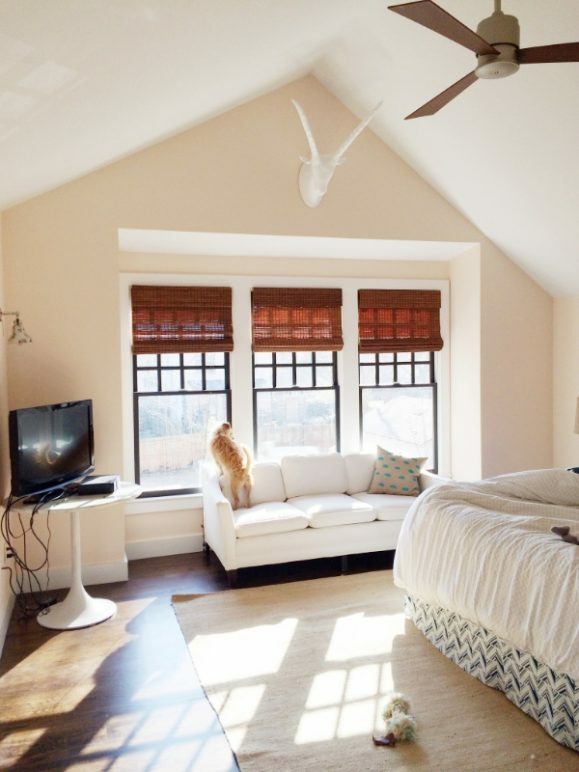 Here you will find the ultimate collection of pink paint color schemes for you to enjoy. 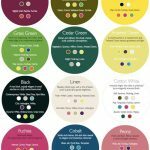 As an interior decorator I know how useful it is to use these amazing paint color palettes as a guide and inspiration to choosing the paint colors for your home. 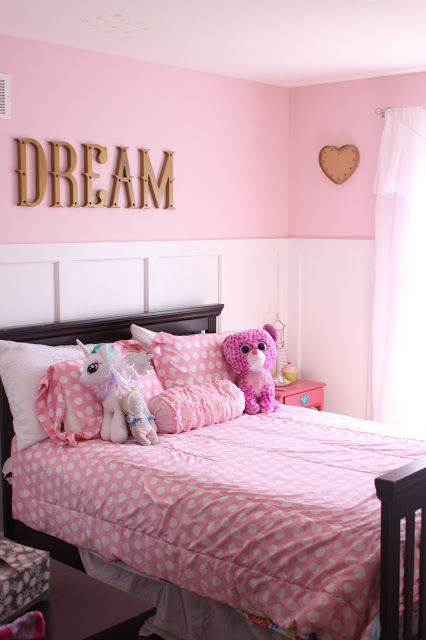 Today we are looking at decorating with the color pink! Pair this teacup pretty hue with a classic partner like peacock blue, gray or emerald. 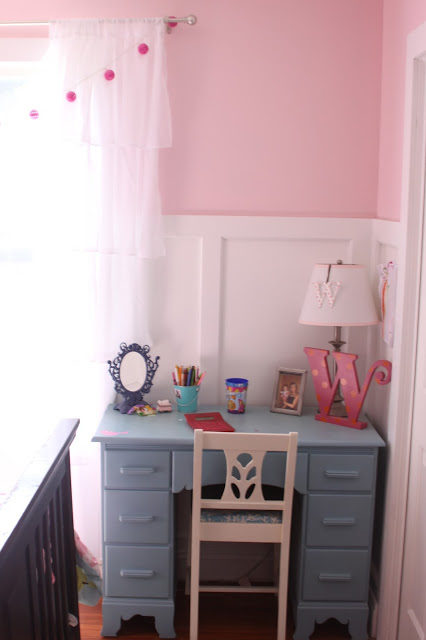 This color works very well on walls for little girls bedrooms, pair with soft baby blue for a sweet effect. 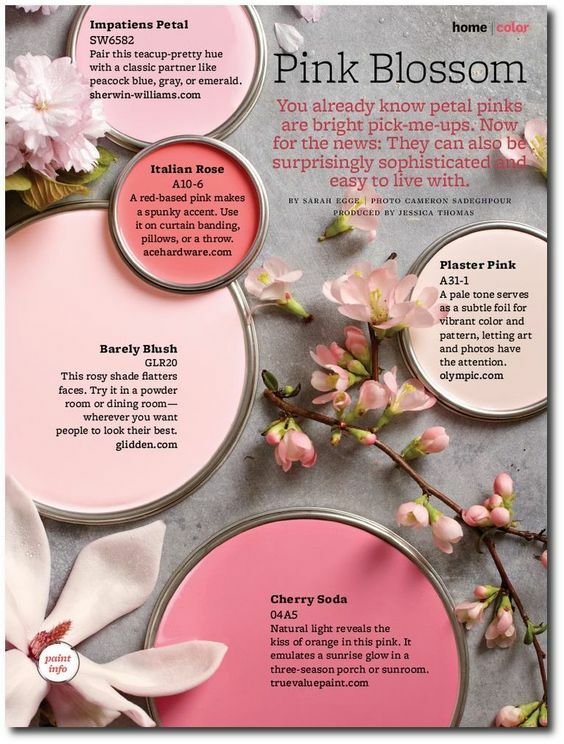 Glidden: Barley Blush – A rosy shade of pink that flatters faces, best for bathrooms and dining rooms where people want to look their best. 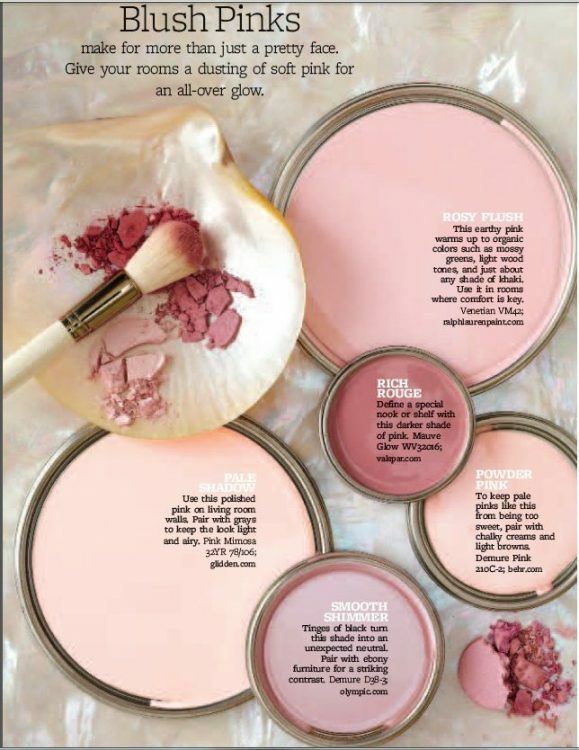 Give your rooms an all over glow with these pink paint colors. 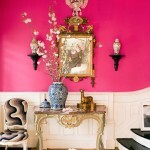 Pink paint color scheme that is romantic but not over the top sweet. 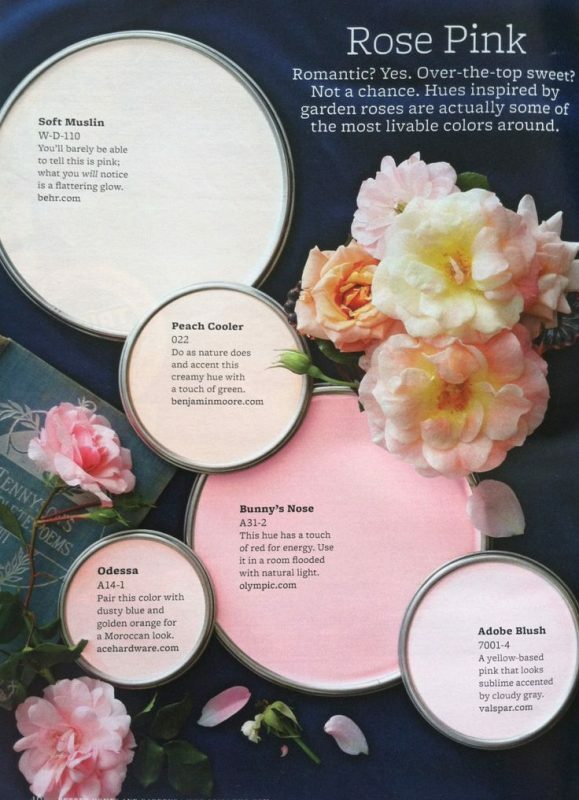 Garden roses inspired hues are some of the most livable around. 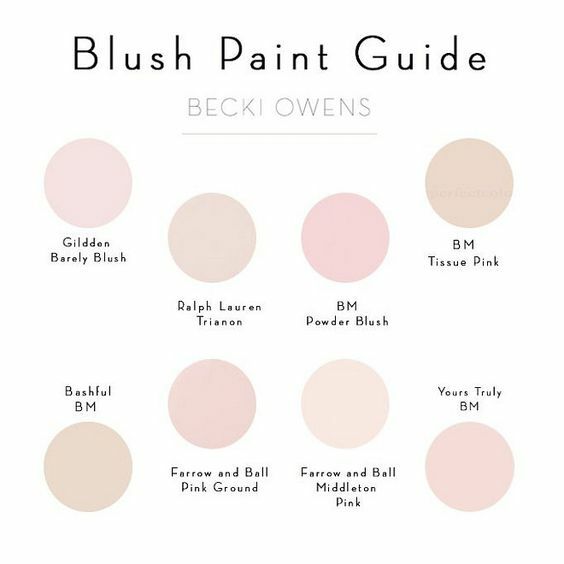 Soft, pale blush pinks you will love for your walls Via Becki Owens. This entry was posted on Monday, October 17th, 2016 at 11:22 am	and is filed under Color Palettes, Decorating, Pink. You can follow any comments to this entry through the RSS 2.0 feed. You can leave a comment, or trackback.